Comments: This is an evergreen shrub that will eventually grow quite tall and spreading. The needles are dull green on the upper sides and paler green on the undersides. 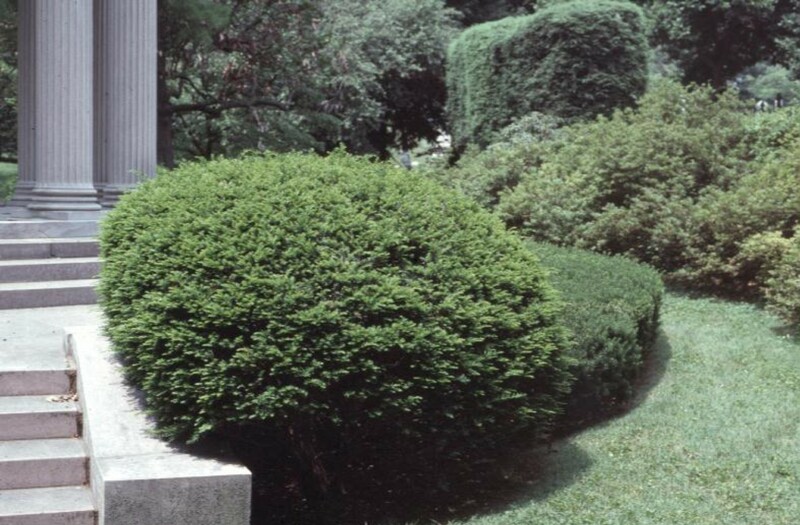 The shrub is sometimes used as a single specimen or grouped to form a privacy hedge. Taxus species grow best in fertile, well drained soil with sunlight most of the day. However, they are basically tolerant of a wide range of growing conditions.